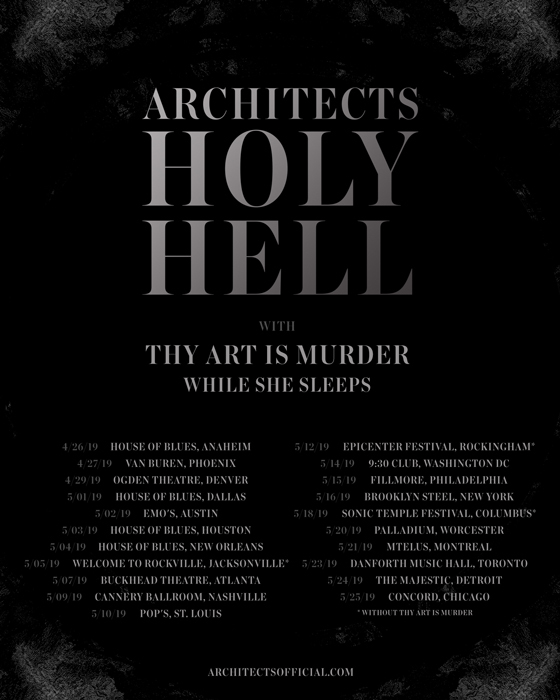 After delivering their Holy Hell LP late last year, Architects have now announced plans to take the album on a tour of North America. The 21-date trek, kicking off April 26 in Anaheim, will feature support from Thy Art Is Murder and While She Sleeps. Find a complete itinerary below. A pair of Canadian dates will bring the three-band bill to Montreal's MTelus on May 21 and Toronto's Danforth Music Hall on May 23. Tickets for all dates are available January 18 at 10 a.m. local time. While She Sleeps So What?